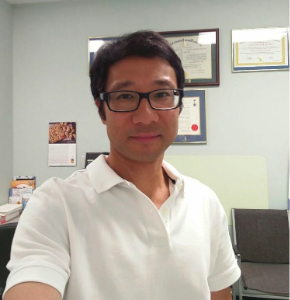 Dr. Ng graduated from the Canadian Memorial Chiropractic College in 2001 and has been practicing chiropractic within the Scarborough community since his inception. He delivers evidence based, safe and natural chiropractic care to each individual. With the principle in restoring one's global well-being, he works collaboratively with family medical doctors within the clinic and off-site. Dr. Ng speaks proficiently in English and Cantonese. Dr. Ng graduated from the Canadian Academy of Clinical Acupuncture with a D.Ac. in 2000 and from the University of Toronto with a B.Sc. (Honours with Distinction) in 1996. He is an active member of the OCA, CCA, CCPA, CCO, FCCP and CCCS. During his free time, he enjoys cycling, running, skiing, photography and traveling with his family. Dr. Ng participates in the charitable events: Sporting Life 10K Run, Heart and Stroke Foundation's Ride for Heart, Bang & Olufsen Yorkville 5K Run, Terry Fox 10K Run and the Scotiabank Toronto Waterfront Marathon.